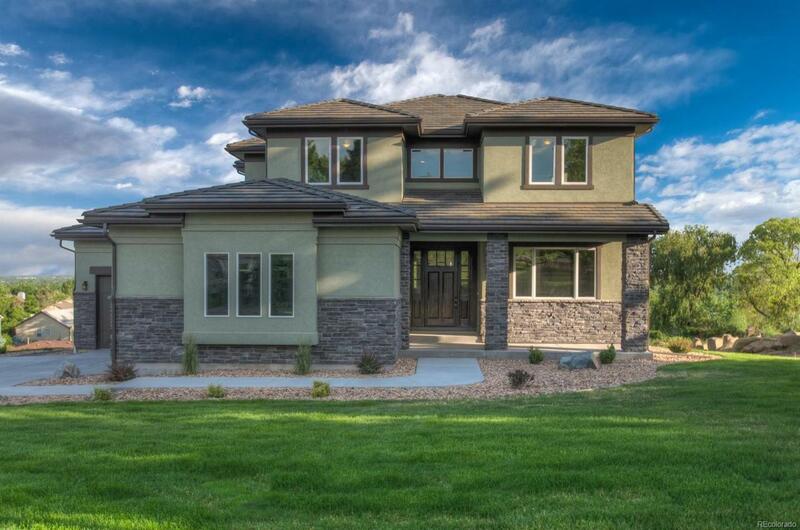 Gorgeous custom new home with stunning mountain & city views from every room. Home has sleek modern finishes. Beautiful wide plank wood floors & a spacious open concept layout with vaulted ceilings & brilliant natural light. Study with French doors & built-in shelving. Formal dining room shares a double-sided LED gas fireplace with the living room. The living room has a wall of doors that open to a large covered deck creating amazing indoor/outdoor space, perfect for entertaining. Gourmet kitchen features quartz countertops, stainless steel appliances, soft close cabinets & drawers, under cabinet lighting & a large island with breakfast bar. 2nd story laundry. Master retreat has a 5 piece ensuite bath & his & hers walk-in closets. Walk-out basement has a media room with 5.1 surround sound system, great room with full wet bar & a guest suite with walk-in closet & en suite bath. Bonus features central vac, 2 A/C units, 2 furnaces, professional landscaping & an oversized 3.5 car garage.